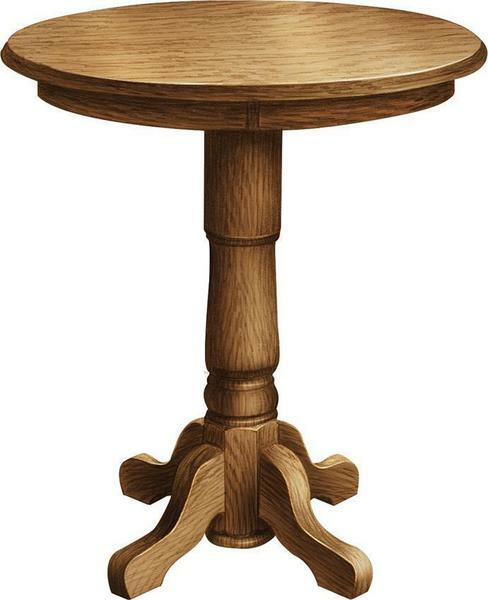 Elegant is the word to describe the look of our Amish Valley View Round Single Pedestal Pub Table. With a round style top supported by a beautifully shaped cylindrical pedestal base, the Valley View Round is the table to grace your family room, dinette area or recreation room. All of our Amish made furniture is handcrafted right here in the U.S.A. Call one of our Amish Furniture Specialists today at 1-866-272-6773 with any questions.